I did take forever putting this kit together, partially because I wanted it to be worth all the money I was spending on a child’s toy. 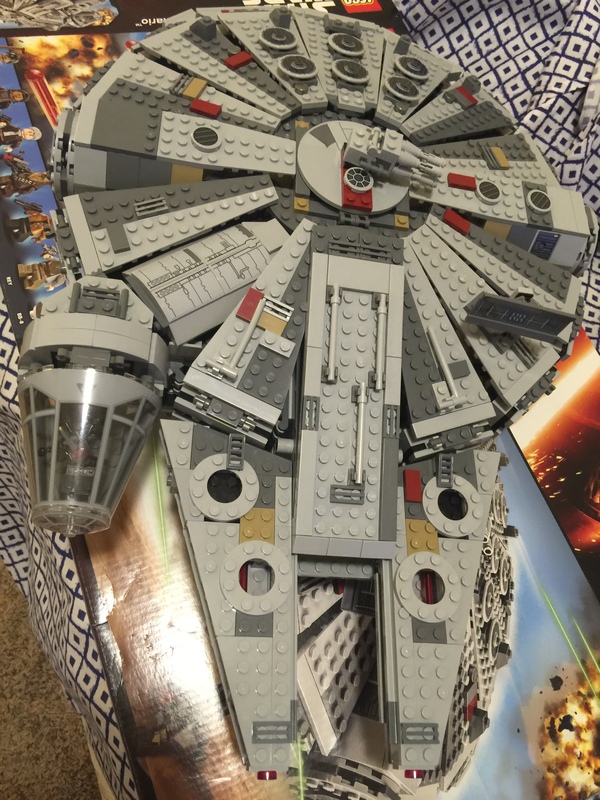 There were some parts of the Millennium Falcon that I had trouble with, but I chalk it up to being a Lego virgin. If you have the money, I definitely recommend spending it on this set. Probably my favorite part about the kit are the mini-figures. This kit comes with Rei, Han Solo, BB-8 (my absolute favorite), Chewbacca (with a working bowcaster), Finn, and two of the bad dudes that board the Millennium Falcon. 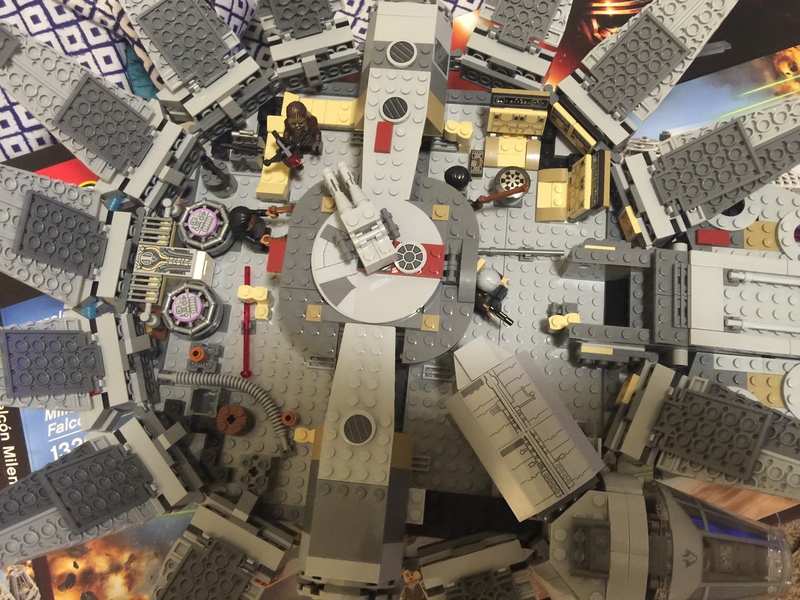 Lego BB-8 is probably one of my most prized possessions and he often appears in various places in my house and in other non-Star Wars builds – like some android Elf on the Shelf. 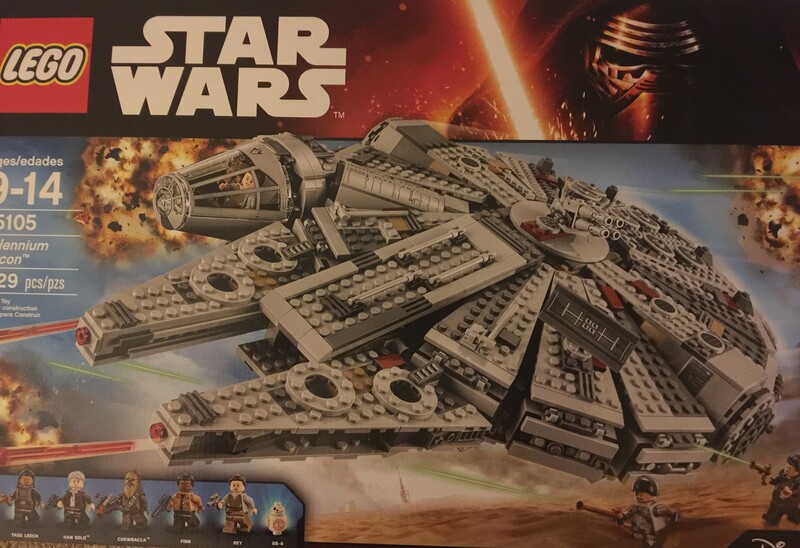 Putting together a Lego kit is a very Zen process – kind of like those adult coloring books that are so popular. Lego kits are like that but for people who are more right-brained. I used to crack open a beer or two (or three or four) after a hard day at work. Now I just run over to Walmart and buy Legos.